The Washington Redskins release a statement during the singing of the national anthem during Sunday's game. WASHINGTON — As the national anthem rang through FedEx Field, D.C.’s football team released a statement on bringing unity, civility and respect. Several players of the Washington Redskins and the Oakland Raiders knelt during the singing of “The Star-Spangled Banner,” while linking hands with players who were standing up. 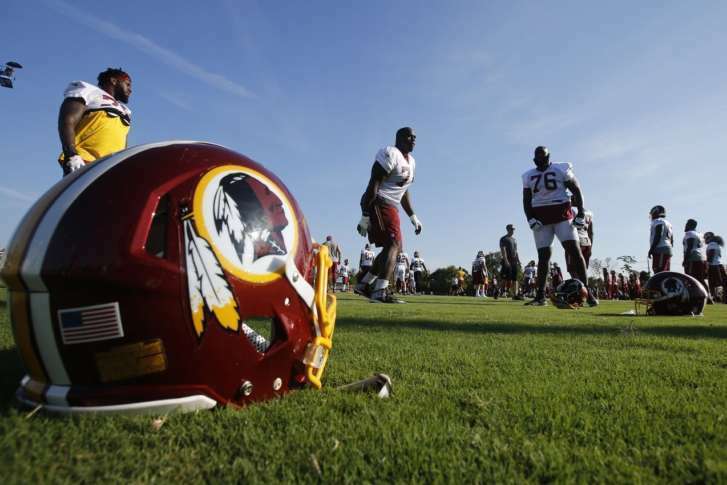 Redskins team owner Dan Snyder linked arms with players, as well. On Friday while stumping for Alabama Republican senate Candidate Luther Strange, President Donald Trump criticized football players who refused to stand for the national anthem and urged team owners to fire these players. The president’s tweetstorm was not just limited to football players. His next tweets rescinded the invitation to visit the White House to National Basketball Association champions the Golden State Warriors because of Steph Curry’s hesitation to attend.